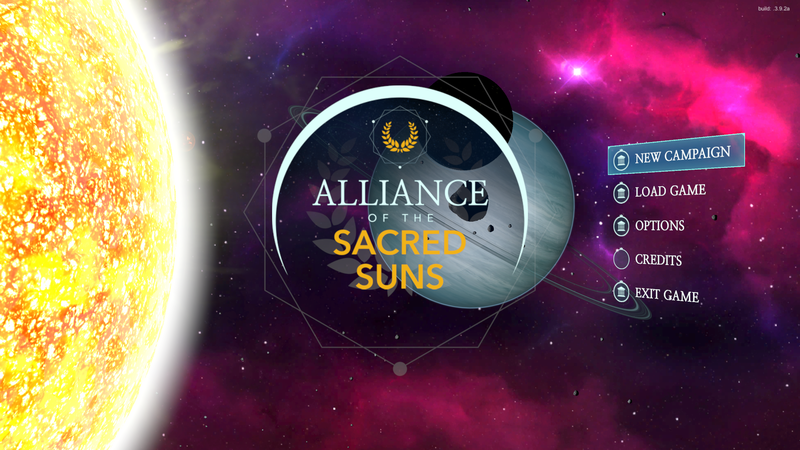 Introducing… Alliance of the Sacred Suns! Been a few weeks since we’ve posted but we’ve been very busy. We’re closing in on the massive .4 milestone with the completely revamped UI system. We’ve also refined the trade system, the migration system, and added the full Action and Project systems, which are critical for how you as Emperor interact with the game. We’ve also refined our art assets and have started working on the conversation and help system (tooltips, tutorial process, etc) and removed a lot of bugs. So any videos that you’ve seen in the last 2 months, you can pretty much throw out because the game looks very different at this point. On top of that, though, there’s one big change we’re announcing today. I have used the name ‘Imperia’ since I started working on the game when it was a hobby, and at that point it didn’t make much difference what the game name was since I never intended to sell it (or even release it publicly, at first). Once we became serious about the game, however, we started looking at potential issues with the name. There is a game called Imperia Online that has been around for almost 11 years, and although the games are wildly different in type and scope, we decided to go a different direction so as to avoid confusion with that game. Plus, having a truly unique name will help with search results and not ‘cover us up’ as we are a much smaller game. But the biggest reason for the name change, simply, is because the new name better reflects more accurately your goal as Emperor. Your ultimate ambition is to reform the shattered Celestial Empire in order to prepare it for mankind’s final test: the Xyl. Because of this, and since much of the background story is rooted in religion and mysticism, we felt that Alliance of the Sacred Suns was more appropriate as to tell the story of the game and your role as the Emperor. 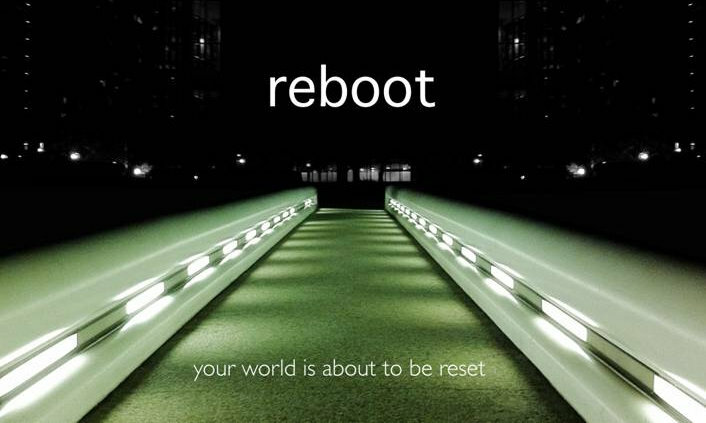 So we’ll be rebranding in stages. We will be creating a new web site that brings together all the parts of the game universe (the blog, the forum, and the wiki) and create a one-stop shop site under www.allianceofthesacredsuns.com shortly. We will announce when the site is live. We will leave redirects from the old Imperia-titled links for a while to ease the transition, but it is our hope that by the end of the year most people are using the unified web site. We’ll be releasing a new video shortly (probably this weekend) to showcase the new UI and game play. In addition. we’ll be featured on Space Game Junkie on August 23rd at 5:30 PM PST to show .4 and the early work on .5! More on this soon. Thanks for your support while we’ve transitioned and worked hard on the game: we’re a small studio (essentially 2 people plus contract talent) so we don’t always have time to update the blog and forums as much as we should, but rest assured we’re working hard to bring AotSS to you as soon as possible! .4 Update, New Screenshots, and a New Artist! Hello everyone! It feels like it’s been a while since we last spoke, but we’ve been busy revamping the UI system from the ground up, as well as tightening the gameplay and design. We’re almost ready to send .4 out, and we hope to feature it on a podcast soon (Details forthcoming) but for now, we wanted to show some more screenshots, talk about how the UI is evolving, and introduce our newest artist, Ogi Schneider! Ogi has helped us with our UI/UX setup, and helped us corral this huge game into a friendly and accessible interface, the first results which we will be showing below! My name is Ogi Schneider, I was born in Switzerland and live currently in London. After my interactive entertainment Diploma I went to Germany to a Stuttgart based 3D visualization company for an internship in 3D modeling/animation/rendering which led to a full-time position, helping with visualization- and game-/interactive-projects. We released two game titles, Tower Tapper (mobile only) and Steamscope (mac/mobile). After 3 years in Germany I went back to Switzerland, doing freelance jobs regarding 3D and texturing for Apps and Games. Next to freelancing I was also involved in two indie game projects, Sky Mercenaries (Steam) and Steel Rain (Steam). In 2015 I got the chance to start a paid internship in London as Graphic Designer, which led to a fulltime job doing mostly UI/UX-Design and some print- and web-design. In May 2016 I started freelancing again and found this great job opportunity to work on the Imperia UI- and UX-Design, which is what I am currently working on. We are excited to showcase some of the new UI design in the .4 build and talk about some of the reasons for the sea change in design. Please note that while these are all in-game screenshots, there are a few missing icons here and there, and things will most likely change/tweak over the course of development. 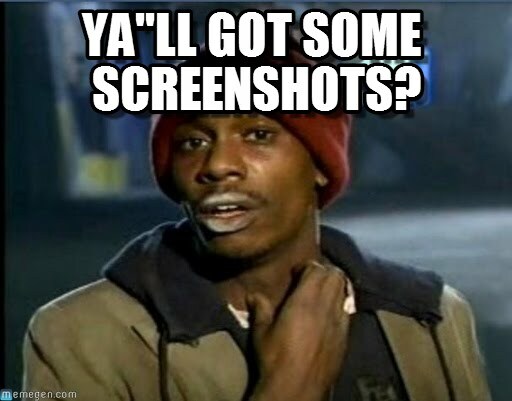 Let’s show some screenshots! These are the first pass of the new 3D setup screens. We will add a third screen for the emperor setup (name, House name, colors, crests, portrait) in an upcoming build soon. The panels are 3D and move in real-space. It’s a cool effect! Here is the main screen, where you see all the new elements. The command bar is on the lower-left where you can change your command mode (economic, political, demographic, military) and an overview mode that would be the closest to a ‘traditional’ mode. On the right is your Project Bar, which will show all of your active Projects in the Empire and the available Projects for that level (province, system, planet mode). On the upper-right is your Empire stockpiles for energy and materials, used when you start a Project and for trade. The top center is your Emperor Status bar, which shows your remaining Action Points, your location, your Power rating, and your popular support. Finally, the upper-left shows the sub window buttons (Finance, Intel, Science, Emperor Diary, Overview/Stats) and your option menu. Zooming in, you see the new stars and some of the new planets. This shows the new Economic Planet bar that shows the basic economic information. 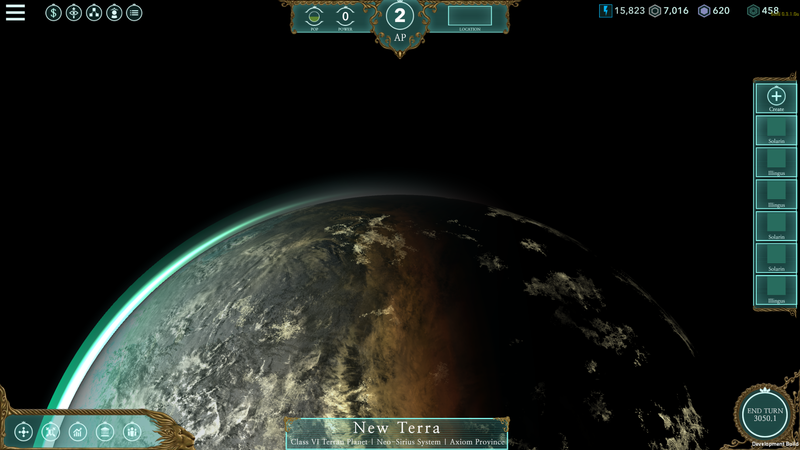 Other modes will have the relevant information about each planet for that mode. You are able to access the viceroys from each planet from these bars as well. Here is the base Planet Screen – this is what you will see in each mode regardless of type. Your Chain of Command is always in the upper-left (you will see shortened versions of the COC on the system and province screens). This shows the tax revenue from the planet and who is getting how much. In the center is the viceroy window with a new chat log showing your conversation, and their basic info. The lower-center is the planet summary bar showing the high-level information about the planet. Keep in mind that we’re still tweaking what each panel shows and how much, but the look and feel is pretty much set. When you are in a submode, you will have a window bar on the left that shows individual panels that can be opened and closed independently. These windows stay with the mode, meaning that you can have 2 windows open in eco mode, 3 windows open in demographic mode, etc. and they will stay open with the mode when you switch modes, even between planets. In this way, players can create a workspace that works best for them – different combinations of panels can be used for different views when they work within that mode! This shot shows all of the Economic windows open, but they can be closed independently as needed. Here is the in-game Project Screen. You first select a Project from the bar on the right, which opens up the window seen here. You then select an Administrator by dragging and dropping their charcter card into the box, which will unlock a number of contributor slots equal to the skill of the administrator. You then drag and drop contributors until you have enough financial contribution and ADM to finish the project in a realistic amount of time, You can find characters by scope (planet/system, etc), House, or filter (ADM > 0, wealth > 0) and sort within the pages to bring the highest values to the top. Here’s a Project that is ready to send, with an Admin and 2 contributors. So we’re working now on the Character Screen. Not *quite* ready to show, but it will be ready to use and we’ll have a blog on that shortly. With the basic UI look and feel in place, we’ll be adding the rest of the modes shortly, along with the sub windows in the next .5 build! Hello everyone! Steve here with a small blog about one of the subtle, but important UI design choices: the concept of Command modes. When we revamped the game design, we put a lot of thought into the UI. Imperia is a game with a lot of information, and we wanted a system where a player could get that information easily – but within the context of what they were working on. If you play strategy games, you tend to think in terms of ‘what do I want to do?’ These tasks can be anything from ‘raise taxes’ to ‘build a fleet’ to ‘put a building in the queue on my capital planet’. But you are almost always doing these things within a larger context; in other words, you’re trying to accomplish a larger strategic goal by doing tactical things. So we thought, What will players do most? We settled on 4 broad areas that we felt most players would assign strategic value in Imperia: economic, military, diplomatic, and demographic (pops), and created dedicated Command modes that focus player interaction on a particular area of strategy. What this means in game terms is that if you select, say, Economic mode, then all map submodes, Actions, Projects, and data will be relevant to the economy of that view level, be it province, system, or planet. So for example, if you are looking at a planet screen in Economic mode, you will see the taxes, production, trade to and from the planet, planet-level economic Projects in the Project bar, etc. 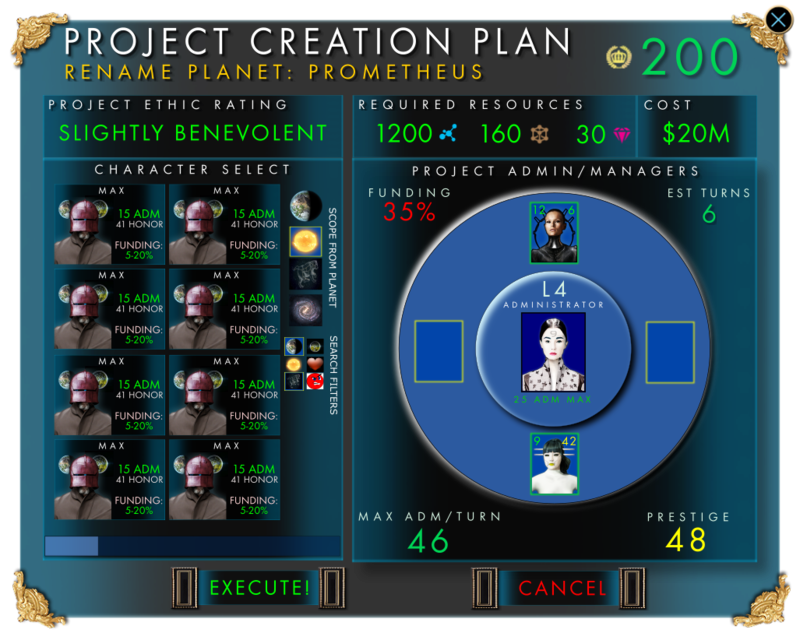 If you move out of the planet screen, the system screen will have system trade, system-level economic Projects in the Project bar, and so on. Any submodes will be economic-related as well. In essence, Command modes act as a smart filter so that you can act within the strategy you are pursuing without having to move ‘sideways’ in the UI. You can switch between command modes at any time, and for traditionalists there will be ‘override’ options that allows for Action- and Project-level filtering independent of the command mode (in other words, you can see all Projects for a planet even if you are in Military command mode) but we think most players will appreciate this setup once they start to play. More to come soon, including some new screenshots! Hey everyone! Steve here – just a quick blog to show what we’re working on this week. We’re revamping the UI to be more streamlined, so these are early shots showing the direction we’re going with the UI, as well as a sneak peek of our trade view! This is a look at the main UI display, with the new Political main mode. 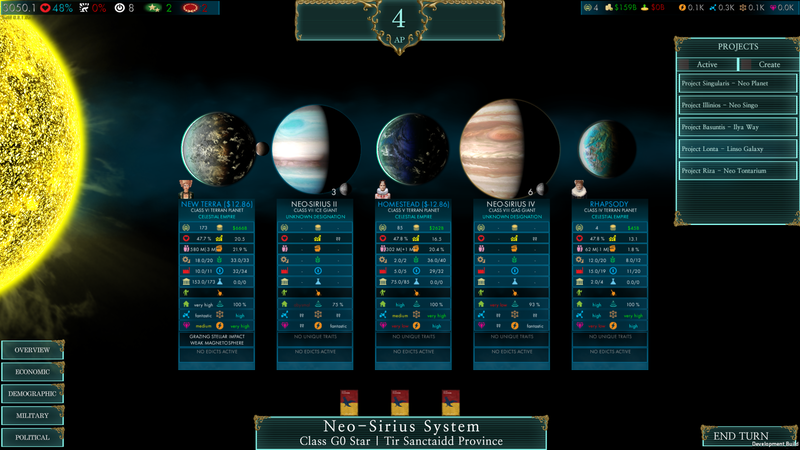 UI consistency will be a main theme in Imperia – what you see here, along with the alert bar to the left and the Projects bar to the right, will be accessible in any screen – in other words, all stellar screens will have an economic, military, and political main mode, with specialized submodes as needed. We thought about ‘what tasks do players do’ and it seemed that if you need to check on your economic situation, say, you would want to do something about it, so when you drill down into the planet/system/province views, you will have economic-layered views and options ready to go. On the upper-left is the Vital Statistics Display, showing from left to right game year (we may move this down to the next turn button), your love rating from your Pops, your fear rating, your Power rating, your Benevolent Influence pool and your Tyrannical Influence pool. On the upper-right is the Dymanic Resources Display. This will change depending on what you are doing. For example, your Action Points are on the left, followed by your yearly budget and your expected gain/loss from that budget for the current year. However, if you have the Project Bar open, this will instead of showing your finances show your materials and ADM available for the selected entity. Here’s a look at the Alert Bar on the left. These are small icons that let you know that something has happened. Very few alerts are hooked up right now (these tell you that you gained/lost population on various worlds) and will have filters on the top to only show alerts that you want to see. When you hover your mouse over an alert, a sliding box will show from the right to expand on the alert, and if you want to act on it left clicking on it will take you to the relevant place to act. Right-clicking will remove the alert from the bar. Now let’s look at the Trade View. We have already written about how the Trade system will work. When you go into the Economic mode, you will default to the Trade view. This shows your empire’s Influence ghosted, but shows the Province/Secondary/Empire trade hub radii of effect. These create Trade Zones that allow trade to happen in that zone. Merchant Pops can increase the standard area of effect of a trade hub, reflected with the Merchant Skill number on each hub ring, allowing even a smaller Secondary hub to cover several systems, and saving the expense of either building a new connecting hub or creating a new Province (you can only have one Province hub) or demolishing the old hub to move it. This is a zoomed-in view showing one province. You can see the lines extending from the province capital system showing the structure of the province. While Matka Gabia system is within a province trade hub, they do not have a trade hub of their own and can thus only import goods, not export them. The Polunocnica Secondary hub does allow Melchior to receive trades, but only between the two systems. If, say, Fertility were annexed to the province and a Secondary hub was built there and staffed with Merchant pops, it would be possible for the Polunocnica System to be linked to their Provincial hub, which would then link them to all Provinces and allow a greater range of trade options. Please remember that this is not a finished look – many of our final assets are not completed yet. It will give you a good idea of the general look and feel of the game, and we are very confident moving forward about the UI – a game like this needs an exceptional UI, and we have spent a long time working on it and reviewing each part. 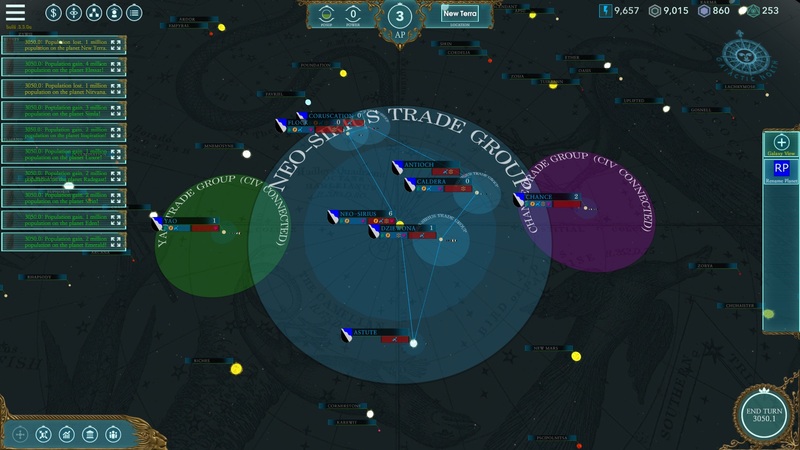 Soon, we’ll show the revamped System View, but our next screenshot blog will feature Trade Fleets in action!